Are Wireless Site Surveys Worth The Cost? In the old days of wireless network design, there weren’t many Wireless Network Planning tools available. So to design wireless for a new building we took a floor plan, and literally plotted out access point locations, power settings, channel settings, etc. A wireless engineer would always need to go onsite. They would set up a wireless site survey kit which included the access point model they were planning to use, antennas, and some software running on a laptop. Then they would physically walk around the building to test the coverage area in the real world environment. Needless to say, it was a very time consuming but necessary process to make sure your system had the coverage it needed and that the system didn’t actually interfere with itself (which can happen when two Access Points in the same area are using the same channel). Today’s wireless design world is different. For example, most of the wireless networking solutions for a college campus or hospital wireless network will auto adjust power and channel settings so that you don’t have to manually set all of that stuff. This makes the planning process much simpler. 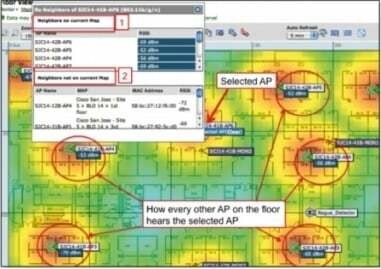 Another tool we have now that we didn’t have in the old days is some cool wireless planning software that will populate a floor plan with access point locations, expected coverage, and it will even tell you the angles the antennas will broadcast a signal….pretty cool stuff for wireless geeks like us. So the question comes up, do I need to incur the expense of having a wireless network engineer help with the design? At SecurEdge we design, deploy and support large scale wireless networks. So obviously I’m going to say yes. But I do have reasons that even the non-biased people (like myself) would agree on. 1) Devices and Applications are complex: wireless planning is no longer just about coverage of an area. It’s about being able to support the capacity of the devices on the network- sometimes 3-5 devices per user. And it’s about being able to deliver the performance levels the applications require. 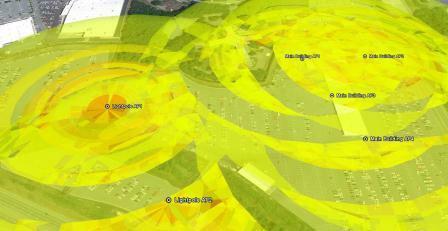 Even if you use predictive wireless planning software, most of it is based around coverage only. You need to have a plan that incorporates Capacity and Performance as well. 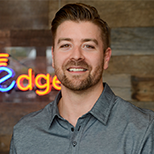 2) Wireless Networks are critical: when SecurEdge started deploying wireless infrastructure years ago, most of the systems we were installing were primarily for wireless hotspot access. Like wireless student networks in schools or guest access in retail stores. Of course, since then wireless speeds are getting faster and faster (gigabit wireless is coming) and everything is going mobile. Today we have hospitals running wireless insulin pumps, nurse call systems, and prescription drug bar code scanners- all over Wi-Fi. Those same school systems we began deploying years ago, are now doing broadcast video over wireless and many of the testing systems are using Wi-Fi. Wireless networks today is not a nice to have amenity, it’s a critical system that can never go down. If you’re planning on deploying a wireless system contact us and we can help. If you’d like some help right away, you can talk to one of our consultants at no charge as well by registering for a Free Consultation. A good starting point would be to download our free wireless network design kit. Good luck with your project, hope this helps. Previous Post: What does the cloud and smart phones mean to wireless networking?